Happy October! Let's just cut right to the chase today. Last year I participated in a huge link-up at The Nesting Place by hosting a series called 31 Days of Hidden Potential and this year I'm joining in again with a whole new series! My most popular post ever (by far!) is the outdoor sectional we built entirely of 2x4s for a fraction of the cost of buying one - only $130. It has been pinned on Pinterest over 500,000 times! The popularity of that post was my inspiration for this series. I'm devoting the next 31 days to projects made almost entirely of 2x4s! 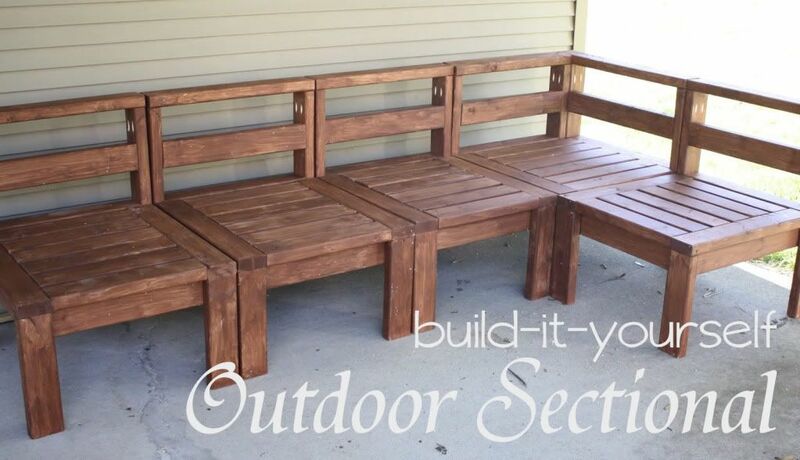 If you can't wait to dig into the 2x4 goodies, go ahead and check out my outdoor sectional! There's still time to get it built and enjoy some nice cool nights on the patio before winter hits. :) But for the rest of today's intro we're just going to cover a few details for the series. I'll be introducing one new project per day. Some will be heavier building projects and some will be more crafty. Some I have actually built samples of, some are just plans. But either way, get ready for a whole lot of 2x4 fun! Each post will have everything you need to complete the project on your own - shopping list, instructions, even a cost estimate. I'll keep a running list of my series projects at the bottom of this post so you have a quick reference to the whole roundup. 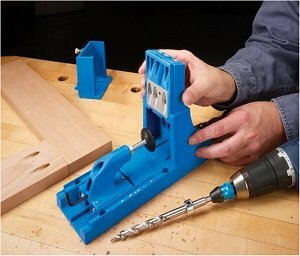 Start stocking up on 2x4s and Kreg Jig screws! I guess that's everything. I'm especially excited about this series because I haven't been doing as much building lately and because this gets back to the roots from when I first started my blog. So stayed tuned for lots of DIY projects on the cheap! This looks like it will be a fantastic series, and I'm always up for a good giveaway! Wow! This looks impressive, and I'm looking forward to reading the details of your projects. 2 by 4s. Great idea! Love this sectional! A great idea for when I have my own house. Wow, how awesome is this! LOVE the photos for each day. You guys must have invested so much creativity energy. Just fantastic! Wow! What a clever idea. Once I got past the Facebook permission part, the giveaway is actually really cool...it tells me how many entries I have, and I don't have to leave my email address in a comment for the whole world to see. I hope I win! So excited for your 31 days! I know this is going to be good! What a great series Georgia! I'm all for anything I can do a) myself, and b) for as little $$$'s as possible! Very interesting Georgie, such fun. I'm definitely making the sectional. Hopefully I'll be inspired to make more as the month goes on. Making projects with 2 x 4's seems very doable! This is so fun! Even before Pinterest was popular I had this sectional bookmarked! Now I just have to find the time to build it! Really excited about this series, Georgia! Also, maybe it's new, or maybe I just haven't noticed yet, but I really love what you've done with the header! Wow! What a fantastic 31 Day writing topic! I'll be sending my hubby to get some 2X4s! I found your blog through the 31 Days Series and I'm so excited! I love the idea of making things myself & your Outdoor Sectional is fantastic! Thanks so much! I am so excited by this series! I can't wait to see what you have in store! Just jumping in here but I love this idea and your blog! I've been wanting an outdoor couch for sooo long, and your version looks so easy, I'm going to give it a try!! Thank you! love idea! I just bought some 2x4s. excited to get started. Just found your site, what a neat idea. Thanks for sharing. Wow, I love buildable projects! I can't wait to look at all these ideas. We finally have a house with a nice outdoor space...but NOTHING adult-sized for seating! This would be a great project for us in the spring. i've loved seeing all your posts! thanks for all the great ideas. I've enjoyed seeing all the projects and gives me many ideas for things to do! I absolutely love the desk from Day 2. It is a style I have always wanted for an office, if I had an office. To buy something sleek and simple would cost so much more. Maybe someday I will make it! Is there any way I could get the measurements for the word art EAT. I can't seem to get the link to work for me.. Thanks. I love all of these ideas! Thank you so much.thank you for all the wonderful ideas as well. already have the hubby planning what we are going to do this summer. Do you have any suggestions for a finishing for the wood used in the bed project? I was planning on using the #2 pine from Lowes or Home Depot to make the bed frame and headboard. I love the coloring in the picture that goes with the project but can't find a listing for what type of wood, paint or stain that was used. 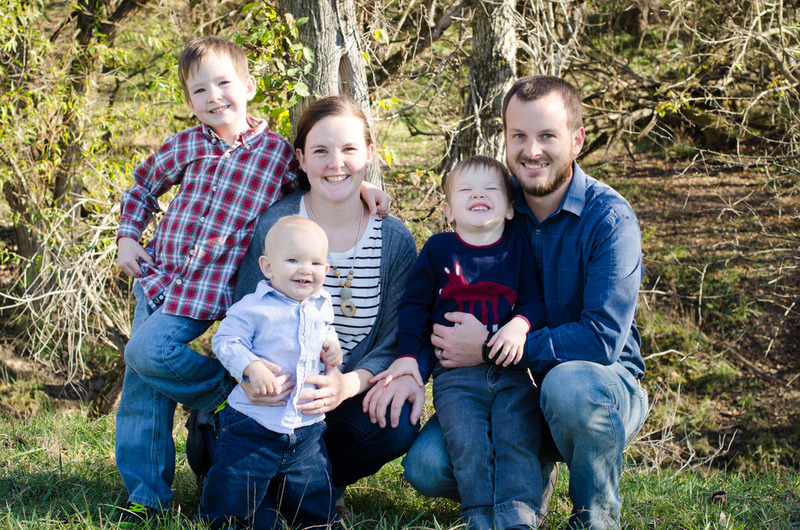 Any help would be appreciated. Thanks. That picture is actually a computer rendering, but we have used pine for all our projects and been happy with it. As far as the stain, stores will usually have some kind of sample cards to show you what the different stains look like so you could try to find something similar. Sorry I don't have more help! Oh my gosh! Just found this on Pinterest and I love it. My husband and I are always looking for projects especially the outdoor sectional. I'm starting this one right away. Thank you so much for posting this - thank you, thank you, thank you! You're welcome! I love to see pics if you make anything. :) Happy building! Ha ha, not this time. :) Thanks for visiting, Paul! So excited, we have a ton of left over 2x4's from a project we just finished and I needed some great ideas and these are fantastic! Thanks for all of the work. Hi Georgia, Thank you for sharing the plans, I just emailed you a picture of a sectional I made over the weekend! I am looking forward to trying some more ideas from your website! Big box wood is rounded, does all the wood have to be planed first? I don't have a jointer but I do have a tablesaw. I want to make the end table and have started to make the lamp. I'm finding that both might look better with the rounded edges of the 2x4's ripped off. Have people made the end table without sawing off the rounded sides? The cleaning aspect was what made me think of cutting the edges. It might look cool to keep the very outside boards rounded though; almost a finished look built in! Thanks! For some reason, on my phone, some of the projects don't show up. Numbers 1, 4, 7, 10, 13, 16, and a few others do not appear at the top of this page where you may select the day/project. Might just be something on my phone. Just a heads up. Thanks for pointing this out! My phone is the same way, but I'm able to slide the page to the left and see the missing projects at the side. Does that work on your phone? I found that putting my phone in landscape mode did the trick. Thanks!